Android is a product that has a very flourishing today. Everyone, from the young to the elderly in general use android based gadgets. There are so many advantages possessed by the android, is among the sophistication and speed in exploring the virtual world. The first browser choice that you can make references is opera mini. This browser is quite well known and even used by all Java-based mobile devices to Android at this time. The advantages are that you can get speed in loading a web page. For android users, certainly no stranger to this one browser. UC Browser is a browser that is very lightweight and user friendly. For the latest version of UC Browser, you can even use the tab function that can open up to 12 tabs at a time. Very interesting is not it? Dolphin browser is one that is quite interesting. Why? Because of these browsers use the gesture system or hand movements when browsing. That way, the user can easily go from one site to another site that is being opened. In addition, the browser also has the ability to recognize voice commands from the user. Google chrome is a well -known browsers on Android-based smartphones and PCs. The advantages offered by this browser is a simple display and synchronization with desktop version. 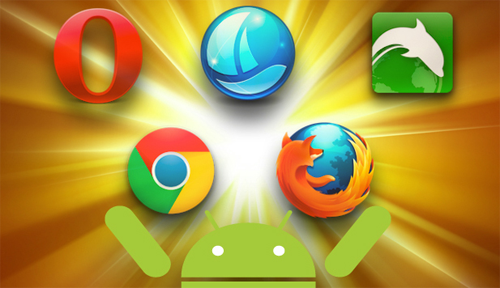 That’s 4 best browser for android applications that can help you to explore the virtual world quickly.